Music is an art form and cultural activity whose medium is sound organized in time. General definitions of music include common elements such as pitch, rhythm, dynamics, and the sonic qualities of timbre and texture. Different styles or types of music may emphasize, de-emphasize or omit some of these elements. Music is performed with a vast range of instruments and vocal techniques ranging from singing to rapping; there are solely instrumental pieces, solely vocal pieces and pieces that combine singing and instruments. The word derives from Greek μουσική . See glossary of musical terminology. In music, Form refers to the structure of a musical composition or performance. In "Worlds of Music", Jeff Todd Titon suggests that a number of organizational elements may determine the formal structure of a piece of music, such as "the arrangement of musical units of rhythm, melody, and or/ harmony that show repetition or variation, the arrangement of the instruments, or the way a symphonic piece is orchestrated", among other factors. Genre is any form or type of communication in any mode with socially-agreed-upon conventions developed over time. Genre is most popularly known as a category of literature, music, or other forms of art or entertainment, whether written or spoken, audio or visual, based on some set of stylistic criteria, yet genres can be aesthetic, rhetorical, communicative, or functional. Genres form by conventions that change over time as cultures invent new genres and discontinue the use of old ones. Often, works fit into multiple genres by way of borrowing and recombining these conventions. Stand-alone texts, works, or pieces of communication may have individual styles, but genres are amalgams of these texts based on agreed-upon or socially inferred conventions. Some genres may have rigid, strictly adhered-to guidelines, while others may show great flexibility. In western music, a motet is a mainly vocal musical composition, of highly diverse form and style, from the late medieval era to the present. The motet was one of the pre-eminent polyphonic forms of Renaissance music. According to Margaret Bent, "a piece of music in several parts with words" is as precise a definition of the motet as will serve from the 13th to the late 16th century and beyond. The late 13th-century theorist Johannes de Grocheo believed that the motet was "not to be celebrated in the presence of common people, because they do not notice its subtlety, nor are they delighted in hearing it, but in the presence of the educated and of those who are seeking out subtleties in the arts". The canzona is an instrumental musical form of the 16th and 17th centuries that developed from the Netherlandish chanson. It differed from the similar forms of ricercare and fantasia in its livelier, markedly rhythmic material and separation into distinct sections. Among the criteria often used to classify musical genres are the trichotomy of art, popular, and traditional musics. The term art music refers primarily to classical traditions, including both contemporary and historical classical music forms. Art music exists in many parts of the world. It emphasizes formal styles that invite technical and detailed deconstruction  and criticism, and demand focused attention from the listener. In Western practice, art music is considered primarily a written musical tradition,  preserved in some form of music notation rather than being transmitted orally, by rote, or in recordings, as popular and traditional music usually are. Historically, most western art music has been written down using the standard forms of music notation that evolved in Europe, beginning well before the Renaissance and reaching its maturity in the Romantic period. The identity of a "work" or "piece" of art music is usually defined by the notated version rather than by a particular performance, and is primarily associated with the composer rather than the performer (though composers may leave performers with some opportunity for interpretation or improvisation). This is so particularly in the case of western classical music. Art music may include certain forms of jazz, though some feel that jazz is primarily a form of popular music. Contemporary classical music can be understood as belonging to the period that started in the mid-1970s to early 1990s, which includes modernist, postmodern, neoromantic, and pluralist music. However, the term may also be employed in a broader sense to refer to all post-1945 musical forms. Music notation or musical notation is any system used to visually represent aurally perceived music played with instruments or sung by the human voice through the use of written, printed, or otherwise-produced symbols. Popular music is music with wide appeal that is typically distributed to large audiences through the music industry. These forms and styles can be enjoyed and performed by people with little or no musical training. It stands in contrast to both art music and traditional or "folk" music. Art music was historically disseminated through the performances of written music, although since the beginning of the recording industry, it is also disseminated through recordings. Traditional music forms such as early blues songs or hymns were passed along orally, or to smaller, local audiences. Christian music is music that has been written to express either personal or a communal belief regarding Christian life and faith. Common themes of Christian music include praise, worship, penitence, and lament, and its forms vary widely across the world. Popular music is found on most commercial and public service radio stations, in most commercial music retailers and department stores, and in movie and television soundtracks. It is noted on the Billboard charts and, in addition to singer-songwriters and composers, it involves music producers more than other genres do. The distinction between classical and popular music has sometimes been blurred in marginal areas  such as minimalist music and light classics. Background music for films/movies often draws on both traditions. In this respect, music is like fiction, which likewise draws a distinction between literary fiction and popular fiction that is not always precise. Country music, also known as country and western (or simply country), and hillbilly music, is a genre of popular music that originated in the southern United States in the early 1920s. The polka is originally a Czech dance and genre of dance music familiar throughout Europe and the Americas. Rock music is a broad genre of popular music that originated as "rock and roll" in the United States in the early 1950s, and developed into a range of different styles in the 1960s and later, particularly in the United Kingdom and in the United States. Hip Hop Music, also referred to as hip hop or rap music, is a genre of music that was started in the United States, specifically the South Bronx in the New York City, New York, by African-American youth from the inner-cities during the 1970s. The term hip hop music can be defined as a stylized rhythmic music that commonly accompanies rapping,  a rhythmic and rhyming speech that is chanted. 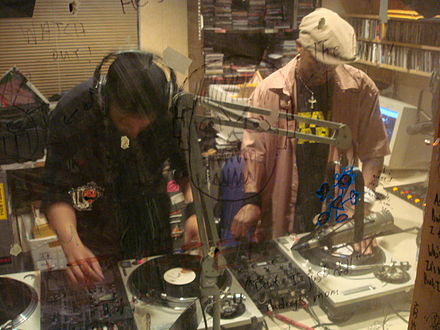 Hip hop music derives from the hip hop culture itself, including four key elements, those being emceeing(MCing)/rapping, Disc jockeying (DJing) with turntablism, break dancing and graffiti art. 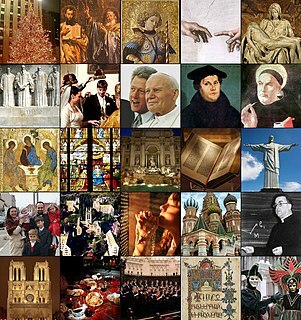 Religious music (also sacred music) is music performed or composed for religious use or through religious influence. Some of the main aspects about culturally transmitting folk songs, its about the period of history it was created and the social class in which was developed. Some examples of the Folk Genre can be seen in the Folk music of England and Turkish Folk music. English folk music was developed since the medieval period and it has transmitted from that time until today. Similarly, the Turkish Folk music relates to all the civilizations that once passed thorough Turkey, therefore being a world-reference since the tensions between East-West during the Early Modern Period. For more information, see Fusion (music) . A Mellow factor consisting of smooth and relaxing styles (Jazz, Classical, etc.). An Urban factor defined largely by rhythmic and percussive music (Rap, Hip-Hop, Funk, etc.). 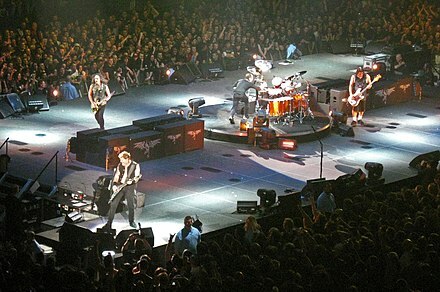 An Intensity factor that is defined by forceful, loud, and energetic music (Rock, Metal, etc.). Rapping is a musical form of vocal delivery that incorporates "rhyme, rhythmic speech, and street vernacular", which is performed or chanted in a variety of ways, usually over a backing beat or musical accompaniment. The components of rap include "content", "flow", and "delivery". Rap differs from spoken-word poetry in that rap is usually performed in time to an instrumental track. Rap is often associated with, and is a primary ingredient of hip-hop music, but the origins of the phenomenon predate hip-hop culture. The earliest precursor to the modern rap is the West African griot tradition, in which "oral historians", or "praise-singers", would disseminate oral traditions and genealogies, or use their formidable rhetorical techniques for gossip or to "praise or critique individuals." Griot traditions connect to rap along a lineage of Black verbal reverence that goes back to ancient Egyptian practices, through James Brown interacting with the crowd and the band between songs, to Muhammad Ali's quick-witted verbal taunts and the palpitating poems of the Last Poets. Therefore, rap lyrics and music are part of the "Black rhetorical continuum", and aim to reuse elements of past traditions while expanding upon them through "creative use of language and rhetorical styles and strategies. The person credited with originating the style of "delivering rhymes over extensive music", that would become known as rap, was Anthony "DJ Hollywood" Holloway from Harlem, New York. The music of the United States reflects the country's pluri-ethnic population through a diverse array of styles. It is a mixture of music influenced by West African, Irish, Scottish and mainland European cultures among others. The country's most internationally renowned genres are jazz, blues, country, bluegrass, rock, rhythm and blues, soul, ragtime, hip hop, barbershop, pop, experimental, techno, house, dance, boogaloo, and salsa. The United States has the world's largest music market with a total retail value of 4,898.3 million dollars in 2014, and its music is heard around the world. Since the beginning of the 20th century, some forms of American popular music have gained a near global audience. Throughout its history, the United Kingdom has been a major producer and source of musical creation, drawing its artistic basis from the history of the United Kingdom, from church music, Western culture and the ancient and traditional folk music and instrumentation of England, Scotland, Northern Ireland and Wales. Art music is music that implies advanced structural and theoretical considerations or a written musical tradition. The terms "serious" or "cultivated" are frequently used in relation to music in order to present a contrast with ordinary, everyday music. At the beginning of the 20th century art music was divided into "serious music" and "light music". Music of Kazakhstan refers to a wide range of musical styles and genres deriving from Kazakhstan. Kazakhstan is home to the Kazakh State Kurmangazy Orchestra of Folk Instruments, the Kazakh State Philharmonic Orchestra, the Kazakh National Opera and the Kazakh State Chamber Orchestra. The folk instrument orchestra was named after Kurmangazy Sagyrbayuly, a well-known composer and dombra player from the 19th century. The Music of South Korea has evolved over the course of the decades since the end of the Korean War, and has its roots in the music of the Korean people, who have inhabited the Korean peninsula for over a millennium. Contemporary South Korean music can be divided into three different main categories: Traditional Korean folk music, popular music, or K-pop, and Western-influenced non-popular music. Music is an integral part of Mongolian culture. Among the unique contributions of Mongolia to the world's musical culture are the long songs, overtone singing and morin khuur, the horse-headed fiddle. The music of Mongolia is also rich with varieties related to the various ethnic groups of the country: Oirats, Hotogoid, Tuvans, Darhad, Buryats, Tsaatan, Dariganga, Uzemchins, Barga, Kazakhs and Khalha. The music history of the United States includes many styles of folk, popular and classical music. Some of the best-known genres of American music are blues, rock and roll, and country. The history began with the Native Americans, the first people to populate North America. The music of these people was highly varied in form, and was mostly religious in purpose. Celtic fusion is any modern music which incorporates influences considered "Celtic", or Celtic music which incorporates modern music. It is a syncretic musical tradition which borrows freely from the perceived "Celtic" musical traditions of all the Celtic nations, as well as from all styles of popular music, it is thus sometimes associated with the Pan-Celtic movement. Celtic fusion may or may not include authentic traditional music from any one tradition under the Celtic umbrella, but its common characteristic is the inspiration by Celtic identity. Dance music is music composed specifically to facilitate or accompany dancing. It can be either a whole musical piece or part of a larger musical arrangement. In terms of performance, the major categories are live dance music and recorded dance music. While there exist attestations of the combination of dance and music in ancient times, the earliest Western dance music that we can still reproduce with a degree of certainty are the surviving medieval dances. In the Baroque period, the major dance styles were noble court dances. In the classical music era, the minuet was frequently used as a third movement, although in this context it would not accompany any dancing. The waltz also arose later in the classical era. Both remained part of the romantic music period, which also saw the rise of various other nationalistic dance forms like the barcarolle, mazurka, ecossaise, ballade and polonaise. Music and Black liberation refers to music associated with Black political movements for emancipation, civil rights, or self-determination. The connection between music and politics, has been used in many cultures and was utilized by blacks in their struggle for freedom and civil rights. Music has been used by African Americans over the course of United States history to express feelings of struggle and hope, as well as to garner feelings of solidarity for their freedom struggle. African Americans have used music as a way to express their struggle for freedom and equality which has spanned the history the United States and resulted in the creation and popularization of many music genres including, jazz, funk, disco, rap, and hip hop. Many of these songs and artists played pivotal roles in generating support for the civil rights movement. ↑ Samson, Jim. "Genre". In Grove Music Online. Oxford Music Online. Accessed March 4, 2012. ↑ Janice Wong (2011). "Visualising Music: The Problems with Genre Classification". 1 2 3 4 "Musical genres are out of date – but this new system explains why you might like both jazz and hip hop". Econotimes. 3 August 2016. Retrieved 8 August 2016. ↑ Green, Douglass M. (1965). Form in Tonal Music. Holt, Rinehart, and Winston, Inc. p. 1. ISBN 978-0-03-020286-5. ↑ van der Merwe, Peter (1989). Origins of the Popular Style: The Antecedents of Twentieth-Century Popular Music. Oxford: Clarendon Press. p. 3. ISBN 978-0-19-316121-4. ↑ Moore, Allan F. "Categorical Conventions in Music Discourse: Style and Genre". Music & Letters, Vol. 82, No. 3 (Aug. 2001), pp. 432–442. ↑ Laurie, Timothy (2014). "Music Genre As Method". Cultural Studies Review. 20 (2), pp. 283-292. 1 2 3 Tagg, Philip. "Analysing Popular Music: Theory, Method and Practice". Popular Music 2 (1982): 41. ↑ Siron, Jacques. "Musique Savante (Serious Music)". Dictionnaire des mots de la musique (Paris: Outre Mesure): 242. 1 2 Arnold, Denis: "Art Music, Art Song", in The New Oxford Companion to Music, Volume 1: A-J (Oxford and New York: Oxford University Press, 1983): 111. ↑ Tagg, Philip. "Analysing Popular Music: Theory, Method and Practice". Popular Music 2 (1982): 37–67, here 41–42. ↑ Arnold, Denis (1983): "Art Music, Art Song", in The New Oxford Companion to Music, Volume 1: A-J, Oxford University Press, p. 111, ISBN 0-19-311316-3. ↑ "Definition of HIP HOP". www.merriam-webster.com. Retrieved 2019-03-13. ↑ "Rap | music". Encyclopedia Britannica. Retrieved 2019-03-13. ↑ "What is Traditional Music? - a broad definition". www.traditionalmusic.org. Retrieved 2019-03-29. ↑ "Home | International Council for Traditional Music". ictmusic.org. Retrieved 2019-03-29. ↑ "EarMaster - Music Theory & Ear Training on PC, Mac and iPad". www.earmaster.com. Retrieved 2019-03-29. ↑ Albrecht, Joshua; Shanahan, Daniel (2019-02-01). "Examining the Effect of Oral Transmission on Folksongs". Music Perception: An Interdisciplinary Journal. 36 (3): 273–288. doi:10.1525/mp.2019.36.3.273. ISSN 0730-7829. ↑ "Folk music". Encyclopedia Britannica. Retrieved 2019-03-29. ↑ "Traditional Folk Music Songs". AllMusic. Retrieved 2019-03-29. ↑ "Is folk music dying out? | Naz & Ella | Indie-Folk Duo | London". Naz & Ella | Indie-Folk Duo | London. Retrieved 2019-04-02. ↑ "THE GENERAL CHARACTER OF EUROPEAN FOLK MUSIC". www.cabrillo.edu. Retrieved 2019-04-01. ↑ "what instruments are used in typical french folk music | Folk Music | Performing Arts". Scribd. Retrieved 2019-04-04. ↑ "Traditional Scottish Music". English Club TV On-the-Go. 2015-10-29. Retrieved 2019-04-04. ↑ François Pachet, Geert Westermann, Damien Laigre. "Musical Data Mining for Electronic Music Distribution". Proceedings of the 1st WedelMusic Conferencesou, pp. 101-106, Firenze, Italy, 2001. ↑ Fitzpatrick, Rob (September 4, 2014). "From Charred Death to Deep Filthstep: The 1,264 Genres That Make Modern Music". The Guardian . Guardian Media Group. 1 2 Chamorro-Premuzic, Tomas (January 14, 2011). "The Psychology of Musical Preferences". Psychology Today. Retrieved 2019-03-27. 1 2 Rentfrow, Peter J.; Goldberg, Lewis R.; Levitin, Daniel J. (2011). "The structure of musical preferences: A five-factor model". Journal of Personality and Social Psychology. 100 (6): 1139–1157. doi:10.1037/a0022406. ISSN 1939-1315. PMC 3138530 . PMID 21299309. ↑ Bonneville-Roussy, Arielle; Rentfrow, Peter J.; Xu, Man K.; Potter, Jeff (2013). "Music through the ages: Trends in musical engagement and preferences from adolescence through middle adulthood". Journal of Personality and Social Psychology. 105 (4): 703–717. doi:10.1037/a0033770. PMID 23895269. ↑ Schwartz, Kelly; Fouts; Gregory (2003). "Music preferences, personality style, and developmental issues of adolescents". Journal of Youth and Adolescence. 32 (3): 205–213. doi:10.1023/a:1022547520656. Holt, Fabian (2007). Genre in Popular Music. Chicago: University of Chicago Press. Negus, Keith (1999). Music Genres and Corporate Cultures. New York: Routledge. ISBN 978-0-415-17399-5. Starr, Larry; Waterman, Christopher Alan (2010). American popular music from minstrelsy to MP3. Oxford University Press. ISBN 978-0-19-539630-0.